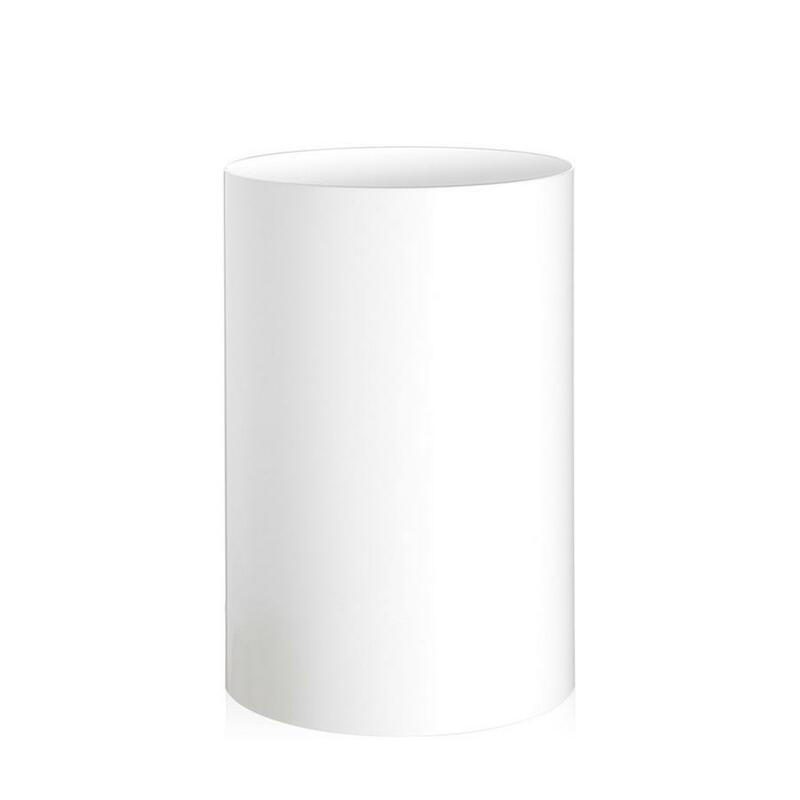 The minimalist polypropylene waste bin from the 1960s is today available through Kartell in a variety of colours and in opal, transparent and opaque versions. 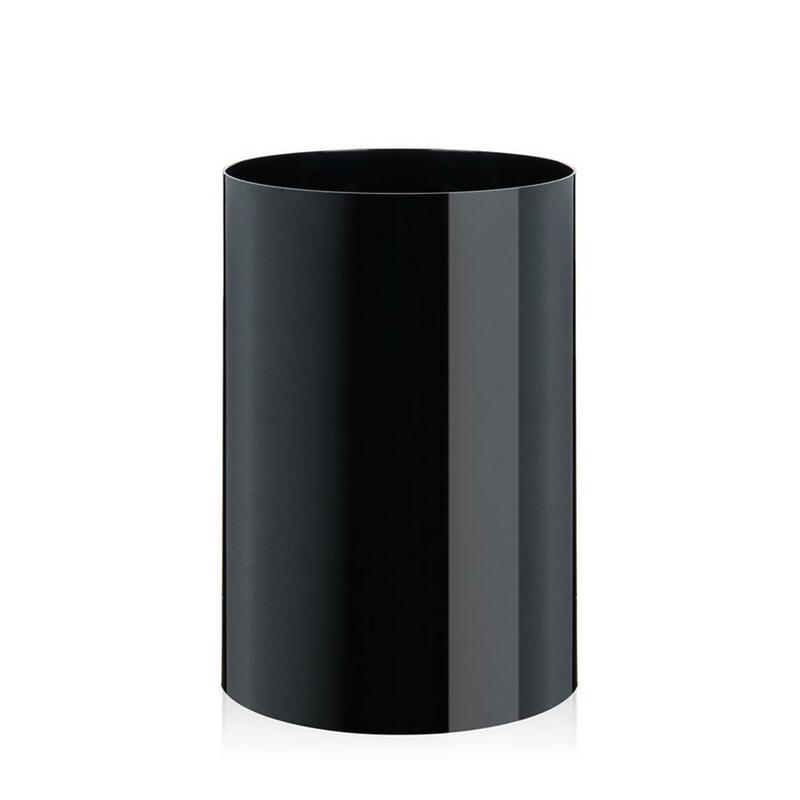 Whether in transparent dark orange, or classic opaque black - the Kartell waste bin is perfect in the nursery, office or home office, is guaranteed to perform its function reliably and with its cheerful Kartell optics is a more than ordinary object for waste disposal. Care Plastic surfaces should be cleaned with a soft, damp cloth and soap or ordinary household cleaners. Do not use caustic or abrasive cleaners. 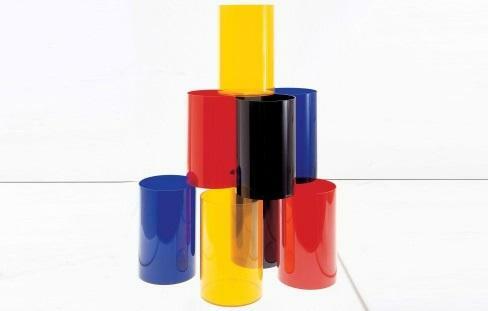 The history of the Kartell paper bin goes back to a 1960s design by the Italian architect Gino Colombini. Today, however, Kartell produces the minimalist waste bin not longer in the original gloss lacquered ABS plastic but in polypropylene and in a range of contemporary colours in opal, transparent and opaque versions. 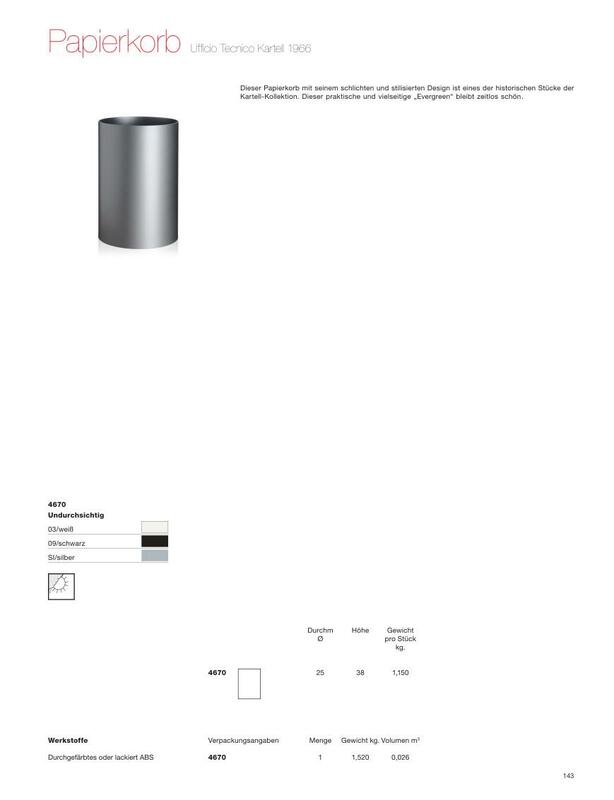 Thus even domestic waste and moisture can do the robust Kartell Trash no harm and whether in classic opaque black or in transparent dark orange, the Kartell waste bin is functionaly secure in nursery, office and home office. The spectrum of colors available being a particular feature of the Kartell style. Since 1949 Kartell has produced contemporary designs which reflect the Italian zest for life and has produced modern plastic designs which enhance interiors without threatening the environment.